Anthropologists know that conservation often disempowers already under-privileged groups, and that it also fails to protect environments. 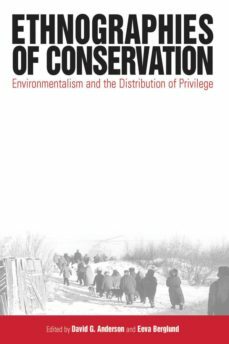 Through a series of ethnographic studies, this book argues that the real problem is not the disappearance of "pristine nature" or even the land-use practices of uneducated people. Rather, what we know about culturally determined patterns of consumption, production and unequal distribution, suggests that critical attention would be better turned on discourses of "primitiveness" and "pristine nature" so prevalent within conservation ideology, and on the historically formed power and exchange relationships that they help perpetuate.